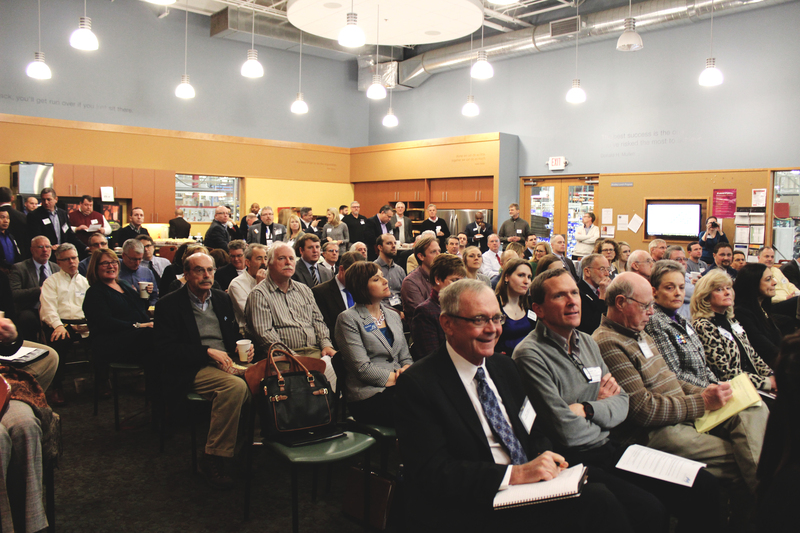 February 18 marked the first Quarterly Member Meeting of 2015! Thank you to Bradley Corporation for the exceptional hospitality and aiding in one of the most successful Water Council membership meetings to date. At one point in every Midwesterner’s life, they come across a circular Bradley Washfountin. Founded in Milwaukee close to 100 years ago, this thriving company is yet another example of the industrial backbone working to make this region great. Bradley Corporation’s offer to accommodate The Water Council’s Member Meeting presented a unique opportunity for members to get an up close look at their beautifully designed facilities and fresh products. Their truly thoughtful accommodations created an atmosphere rich with collaborative possibilities. As members arrived, they had the option of attending the Q1 Talent & Education meeting, participating in a facility tour or networking. Insightful guides provided in-depth knowledge into Bradley history, current products, and facility operations. Each showroom displayed unique commodities equipped with their own stories of process and distribution. Known primarily for their high-end, long lasting, commercialized units, Bradly pushes the standard forward. From their ergonomic single piece sinks made from moldable quartz called Evero, to leading the way in taking lead out of manufactured pipe valves, this company is not only interested in the efficacy of their product, but making sure they provide the best possible experience for each and every costumer. Bradley Corp. – Making water work for you. Once the tour concluded, members settled into their seats and the Q1 member meeting commenced. First up, Christopher Mullet, Vice President of Sales at Bradley Corporation led the audience through the unique weaving of history and innovation which formed the organization. In 1920, Harry Bradly of Allen-Bradley, had a problem: his workers were taking too long on breaks. After some investigation, he discovered the workers would have to wait in long lines to wash their hands. To solve this inefficacy, he created a circular wash-bin producing water from the center and a step peddle at the bottom to turn the water on and off. This communal wash area allowed for multiple people to wash their hands at once and also conserved water. Uninterested in marketing the invention, Harry Bradley passed it off to a couple of his employees who saw potential to turn it into the company known today. Currently, five manufacturing plants are stationed around the country with their main headquarters located in Menomonee Falls, Wisconsin. Bradley’s contemporary products now meld cutting edge technology with durability, user accommodation, and water conservation. Within their plants alone, Bradley reclaims 375,000 gallons of water annually. 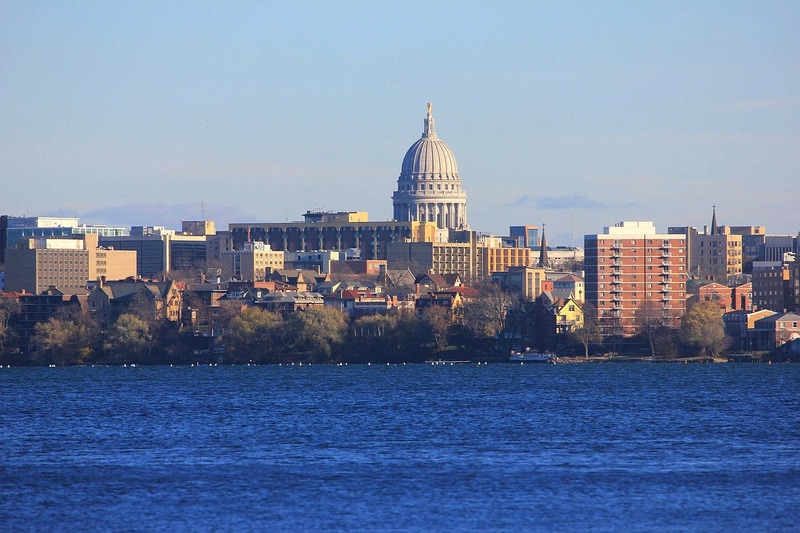 KEYNOTE: Wisconsin Partnership for the Great Lakes – Major Policy Effort! Southeastern Wisconsin is home to many veterans of the water industry, but with the increased productivity of Water Council Members and the growing interest in freshwater, the area is experiencing a fresh water renaissance. The Wisconsin Economic Development Corporation reported in 2014 Wisconsin saw an increase of 7.4% in water technology related exports. It is estimated that in the next 20 years, the drinking water infrastructure alone will require a $7.1 billion investment. Ted Kanavas and Rob Marchant of Michael Best Strategies briefed the members on a major policy effort their firm is leading in Madison. The goal of the initiative is to expand legislative and fiscal efforts to ensure that municipalities have the financial resources necessary to manage wastewater and storm water. The Clean Water Initiative is a way to address critical water policy changes while building Milwaukee as a leader in the Freshwater Economy. To successfully achieve this vision, the development of technological solutions must be accelerated and the funding for these developments will need to be increased. Rather than strictly approaching this from a legislative perspective, Kanavas and Marchant suggest using a tiered approach to engaging the capital markets – using municipal, state, foundations and endowment and private capital to fund technology implementation throughout the state. Through some of these strategic actions, Wisconsin can achieve water quality standards while supporting its growth as a World Wide Water Hub. Meghan Jensen, Director of Marketing & Membership at The Water Council, gave useful insight into what to expect in 2015 and how members can engage. The Water Council has made great strides to expand its programming efforts and reach on all fronts. The growing marketing team is working hard in preparation for Water Summit 2015: Creating a One Water Region, WEFTEC, and other upcoming events. Among the most exciting of these developments will be a new Water Council website, set to launch this fall! The Water Council’s new Small Business Program Manager, Karen Frost, detailed the initial programming and framework for the U.S. Small Business Administration contract to create a Center of Excellence (CoE) for Freshwater Innovation & Small Business Development. Many new opportunities will be provided including programming and training for small and medium sized businesses in the water industry. To learn more about the CoE Click Here. 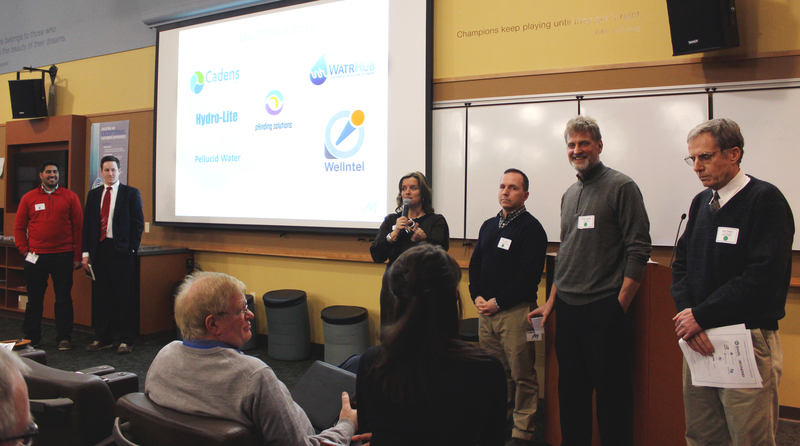 The Talent and Education Committee has made many advances in the past three months by reaching out to youth and connecting them with water industry leaders. In coming weeks, they will be asking for more involvement from companies to show students water is not only for recreation, it’s a career. Stay tuned for more opportunities to engage in the Tide newsletter. Elizabeth Thelen, Director of Entrepreneurship & Talent, asked BREW Batch II entrepreneurs to take the floor and provide the audience with a success story from their involvement in the program thus far. Small startup businesses are hugely important to the industry because as they grow, they attract new talent and breed innovation. Interested in furthering a water tech start up? BREW Batch III applications open Sunday, March 1st! Get ready, the pressure’s on. Click Here. As the meeting concluded, members stayed to have a frosty cold one, snack on tasty hors d’oeuvres and network with fellow Water Council members. 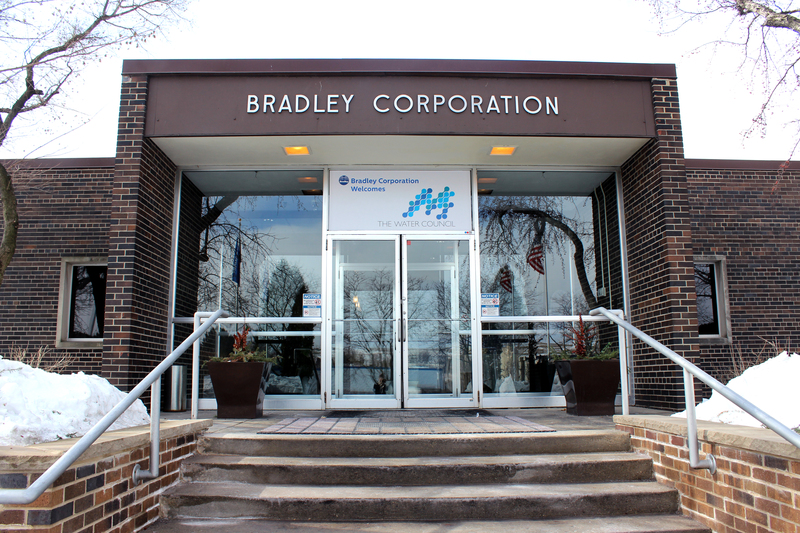 A huge thank you to Bradly Corporation for accommodating a great Quarterly Meeting! Save the date for our Q2 Member Meeting on Wednesday, May 6th! Click here for the full slide presentation.